St Thomas Primary – St Thomas Community Primary School Website. We aim to maintain and promote a positive and optimistic school community in which everyone feels safe, welcome and respected. We provide a genuinely broad curriculum through which literacy and numeracy skills, IT, bilingualism, the arts, physical and emotional well being and respect for the environment are valued and developed. We believe that we must nurture curiosity, confidence, initiative and resilience in pupils in order to provide opportunities for them to lead rewarding and fulfilling lives. St Thomas Community Primary School is located in the East of Swansea and caters for pupils aged three to eleven. We currently have 13 classes with over 300 full time pupils and approximately 50 part time nursery pupils. Our St Thomas ‘Sun Flowers’ Flying Start setting, opened in June 2014 and this provides free child care for approximately 40 eligible children aged between 2 and 3. 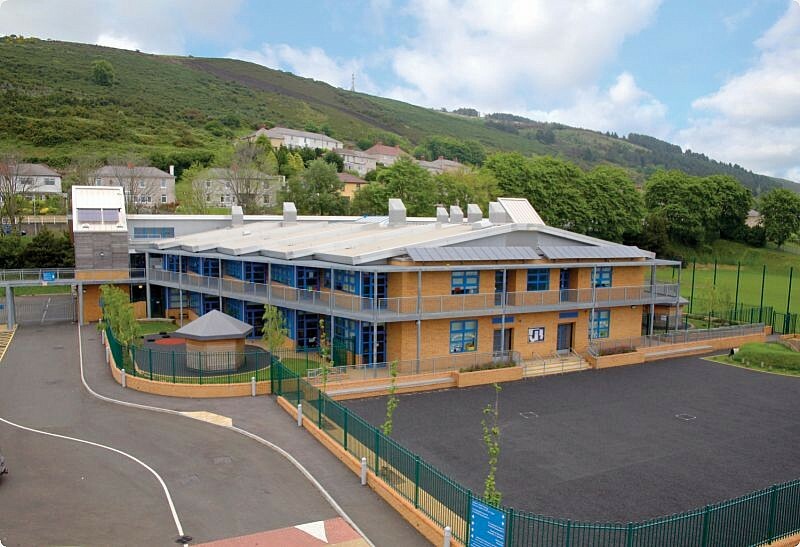 The school building is a modern, purpose built facility which opened in 2007 and is situated next to Maesteg Park in St Thomas, close to Fabian Way and SA1. St Thomas is a welcoming, caring school with happy, friendly children, highly dedicated and talented staff and a committed Governing Body. The school is proud of the high levels of trust and commitment which exist between everyone involved, ensuring that children in our care receive the best education and support possible. We are exceptionally proud of our links with parents and families. We greatly value the positive input a parent can have in their child’s development and encourage and support parents to engage regularly with us in order to maintain their children’s learning outside school. St Thomas Community Primary School is also special in that it has been designed to be truly community focused, housing facilities such as the community library, community rooms, a multi purpose hall and changing facilities for Swansea’s Parks department. Such facilities, which are primarily managed by the school, see the building used extensively outside school hours, by a wide range of community groups and over 300 users on a weekly basis. I hope you enjoy visiting our website. Please feel free to contact us if you have any questions or comments.